Marketing for bars, restaurants and street food. Marketing for bars, restaurants and street food is an art with some sector specific tactics that work incredibly well. It’s very much social/mobile first but that isn’t to say that strategy and ideas take a back seat. As is usually the way in this crazy world, life has a way of pulling you down unexpected paths. I’m always slightly embarrassed when someone asks me about my background and experience. Purely because it’s so random and varied. I can see the listeners’ eyes start to widen as I explain going from a degree in Zoology to working in events, to data, studying for my CIM in Marketing, jewellery, catalogues and direct mail, email marketing, events again, client services, agency management, PR and media planning and buying, launching reward programmes and gift card schemes, Camden Market, events again, social media, blah, blah, blah. Even I get exhausted by it all. And as I mature in my career, and get more involved in bringing the younger generation on, I recognise how this breadth of experience is becoming a rarity as roles become more and more siloed. But as I stare down the barrel of a ‘big’ birthday, I can’t help but think that these near on 20 years of experience all have shaped the extremely satisfying position I find myself in. One that seems to have naturally developed around me as I have moved through my career. It all kind of just ‘happened’. The connections and skills that I have made over the years have all cumulated in, what is essentially, my dream job. Having once had the privilege of working with the great Katrina Larkin, I of course learned a huge amount. But, one thing she told me always sticks in my brain. The ‘why’ she does what she does. She said “I simply want people to have a good time”. 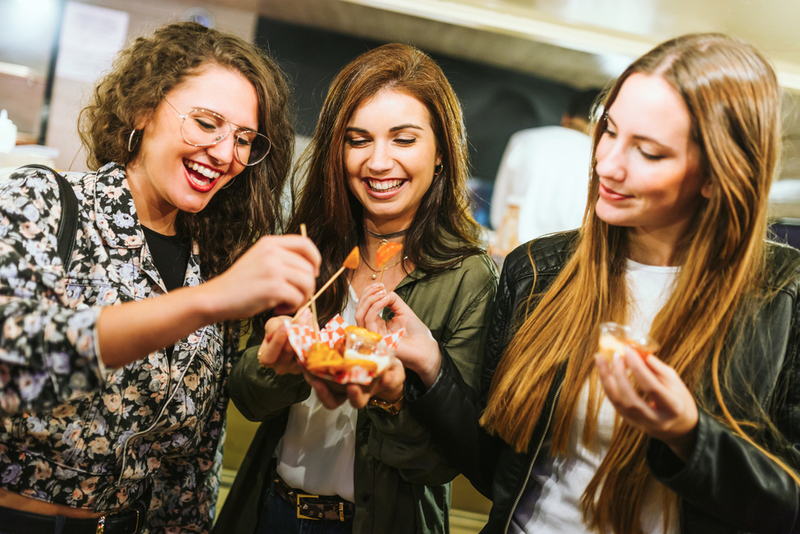 And if you’ve ever aspired to work in events, run a bar, restaurant or a street food stall, that should be the driving force behind what you do. From researching your audience, creating your marketing strategy and ideas, your content, production, media, collateral and most importantly your product. Everything should be focused around what a person wants to get out of their experience with you. If this is good you’ll have happy customers who’ll come back whether they spend £5 on a taco or £500 at a festival. Not the ‘ego events’, where someone puts on the event they want to go to and then wonders why no one else turns up. 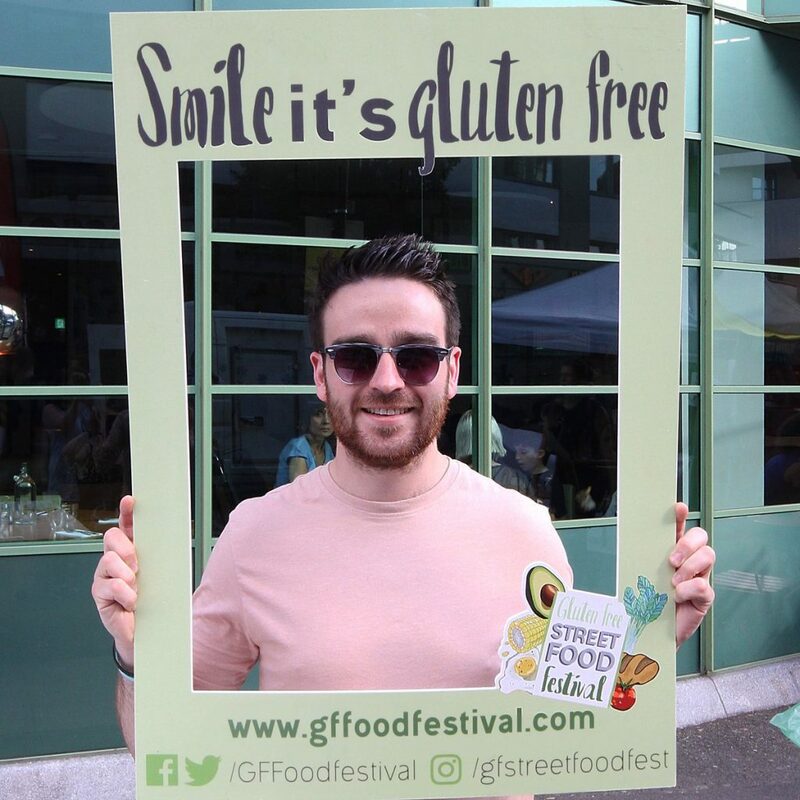 The Gluten Free Street Food Festival that I co-founded and have run for 5 years now. As Camden Market’s most successful series of events ever, they work because the content and the audience need each other. Not because I’m coeliac and wanted somewhere nice to eat. I don’t even follow a gluten free diet! But I saw the opportunity to bring these two elements together and viola! The Camden Get Down, one of the regular nights that I promote as part of the wider marketing remit for Lockside Camden. If the feedback we get on Facebook is anything to go by people seem to be having a good time!! Working with bars, restaurants and street food vendors. I’ve written previously about live events and how we integrate digital (read the post on Live content marketing) so I won’t go on about it again here. But what I thought would be worth sharing is about marketing F&B businesses and the challenges I face with my clients and the industry faces in general. I work with bars, restaurants and street food vendors and as you can imagine, each of these entities has its own foibles and challenges. And the challenges are big. But let’s start with the pros before we get too down on the cons. Working with F&B businesses, if you’re a massive foodie like myself, is a dream. And I recognise that I have been particularly lucky to only have worked with extremely high quality offerings. It’s impossible to not get ‘hands on’ working with these clients. I’ve set company-wide strategies and helped clear glasses. I have launched restaurants and sat in on wine tastings (I lied, THAT’S my dream job!). I’ve sampled new menus and designed new websites. I will lug boxes with the best of them. It is a very involved relationship, you must get an insider understanding of so many aspects of the business and the industry to be able to market it effectively. I’ve worked in seasonal business before but nothing compares to the immediacy of bars and restaurants. You are on call all the time. And as some of my clients are open until 3am, it really is almost a 24/7 job, particularly when it comes to social media. No day, week or month is truly predictable and the peaks and troughs of trading are sharp and extreme. You can go from having the best week of the year to the worst in a very short space of time, so being able to adapt and react quickly are essential skills if you want to succeed. You have to be able to pull in a huge range of skills, which is fortunate for me. Working out a customer journey and all the associated touch points, particularly for the busy independent London venues I work with, is almost impossible. Plus, typically, these sorts of businesses are not marketing-centric, so you are often fighting against ingrained processes, systems and infrastructure. At DVO, we are massive advocates of a test and refine methodology. With venues, this is basically the entire marketing model. Trying to plan and forecast is incredibly hard, so you work in the here and now and make sure you are fluid enough to be able to deal with the constant flux. In London especially, trends, what’s ‘cool’, the latest and greatest and the next ‘BIG THING’ changes in the blink of an eye. It can be overwhelming trying to keep track of it all. My advice? To a certain extent, don’t bother. It’s easy to get dragged into trying to force your perfectly great square peg of a venue into the completely unrelated round hole of a trend. Instead, focus on your customer. Where else are they going? What interests them? What do they want? So, if you’re a beer and burger kind of a place, don’t get too bogged down in the vegan trend. Focus on what’s happening in your market sector and if there are ways you can successfully take advantage of a trend without undermining your fundamental offer, give it a go. If you can’t, don’t. Beware the ‘if I build it, they will come’ operator. As I’ve mentioned, running and working in venues is obscenely hectic, with long hours and huge amounts of stress. The support I give my clients reaches well outside of a normal marketing remit, and to be honest it’s one of the things I love about my job. 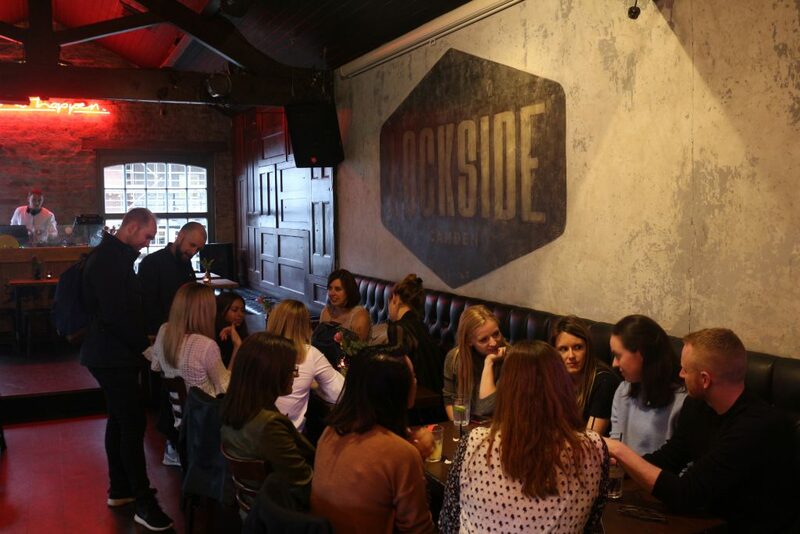 But I’ve encountered many owners and managers who, with little or no understanding or appreciation of marketing, believe that the fact they have a bar, beer and a barman, is all they need to do to get customers. Here’s some of my best tips, also grab a look at the marketing services for street food, bars and restaurants for the kind of support I provide and give me a shout if you want some advice. I’m all ears. It’s crucial to really understand your target market. Especially in a crowded city like London with a huge amount of competition. Pay attention to your brand. Set the tone for your brand, visual, verbal, personality, values. You create unique food, drinks and events so take this philosophy straight into your marketing. It’ll help you to stand out and build your unique position in the market place. Here’s some tips we pulled together on Start-Up branding you might find useful if you’re struggling here. In fact this is one of the key areas where it’s worth getting outside help, someone who knows how to structure a brand and is objective enough to see the truth that exists. That’s very hard for owners and lots of valuable time can be wasted wrangling with brand. Be in front of your audience in the right places. That means social and mobile. In a fast moving market like London people don’t tend to pop home and get their laptop out when they want a bite to eat after drinks! Mobile focused social content and a strong search presence are key traffic drivers in this space. Smart use of Instagram is a real winner alongside Facebook and Twitter. Instagram’s focus on images is gold for restaurants and street food, the material is their it just needs a platform. Focus on building your Instagram audience. Once you’re over a certain threshold of followers you get access to features like the addition of links to stories. This is important as it sends users to a place where you can give them additional content or get sign-ups for a newsletter that contains regular offers. Or quickly promote a flash “happy hour”. Understanding these channels and making them work (that means getting a return) is always a key focus of mine. Email converts much better than all the social channels. Add value to the sign-up, exclusive offers, vouchers for freebies, competitions, run a masterclass on how to create your signature cocktails, burrito, [insert what you do here]! If you’re a restaurant and you need bookings make this the focus of your work. If you need footfall to a street food stall and you want to drive awareness of where you’ll be, market yourself accordingly. If you have a new signature cocktail ditto. In short set clear goals that relate directly to a business goal. You can the structure your marketing to meet those goals, at least that’s what I do for my clients. This list isn’t exhaustive so I’ll be following this up with a post for marketing bars, restaurants and street food on social media. Focusing on the specifics of each channel, Instagram, Twitter and Facebook. I’ll also be putting this into context as part of your wider marketing strategy and will share some of the tricks I’ve learnt and put into practice for DVO’s clients. Sign-up to the newsletter to make sure you see our social media tips. You’ll see a nice pop up on the right or drop your details in the sign up form on this page.